With the holidays coming up, many families are spending more time in the kitchen baking and cooking special dishes. Many people associate the holidays with weight gain and unhealthy meals, but it doesn’t have to be this way. You and your family can enjoy delicious, healthy holiday recipes without worrying about how much it will add to your waistline. Another reason people stress over holiday cooking is how time-consuming or difficult some dishes can be. However, your main meal at your holiday gathering does not have to take a lot of time or be difficult to make. Spinach Beef Balls are not only simple to put together, but can be prepared and ready to eat in about 30 minutes. The spinach adds a mild flavor to these Spinach Beef Balls while providing many nutritional benefits, including preventing certain cancers, protects against heart disease, and reduces the likelihood of getting age-related memory loss. Researchers have also found that spinach is one of the best foods in the world for preventing cataracts and age-related macular degeneration. The spinach in this healthy dish makes a tasty and nutritious twist, which your family is sure to enjoy. 2 tablespoons of extra virgin olive oil! Wash the spinach and place in a pot of water, boiling for 1 minute. Drain. In your speed food chopper, grind the ground beef and spinach together. Then add the egg and mix well. You can add some salt and pepper to suit your tastes. Take the beef mixture and roll into small, tight balls. In a large pan, heat 2 tablespoons of oil. Chop the onions and add them to the pan. Add the Spinach Beef Balls to your pan and cook thoroughly, until they are done. 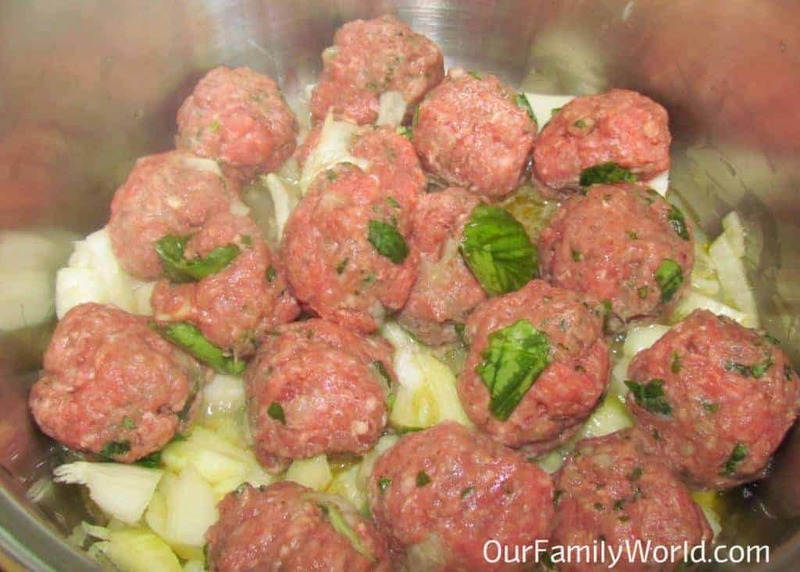 Make sure that you remove the Spinach Beef Balls with a slotted spoon to drain any fat or grease. This healthy holiday recipe goes wonderfully with steamed rice. 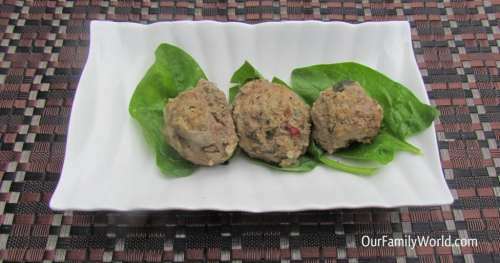 Spinach Beef Balls also makes a great centerpiece for your holiday dinner, especially when they are placed on top of spinach leaves on a pretty plate or serving dish. To make this healthy holiday recipe even healthier, choose lean ground beef and/or cook brown rice instead of white rice. You can serve it also with our delicious Spinach Quiche! I want to to thank you for this great read!! I definitely enjoyed every bit of it. Thank you, Catalina! I hope you enjoy them! These sound so good. Thanks for sharing them with us! Sounds like a good combination. It has been years since I have made my own meatballs. My husband would really enjoy one of these! I’m not big on spinach, but these look awesome! This looks and sounds good. I’m trying to eat more veggies this year so this would be a great way to start. Thanks for sharing. OMG they sound delightful. Will definitely have to add these to my recipe box! Thanks Laura! I always sneak in some! Sounds like meatballs with spinach basically. I love spinach! 7 Last Minute Family Holiday Road Trip Survival Items + Giveaway! Social Bullying And Your Child: What is It and How Does it Affect Kids?